Home News Ryder Cup 2018 To Be A Unique First – All World Top-10 Teeing-Up In Versailles. Ryder Cup 2018 To Be A Unique First – All World Top-10 Teeing-Up In Versailles. 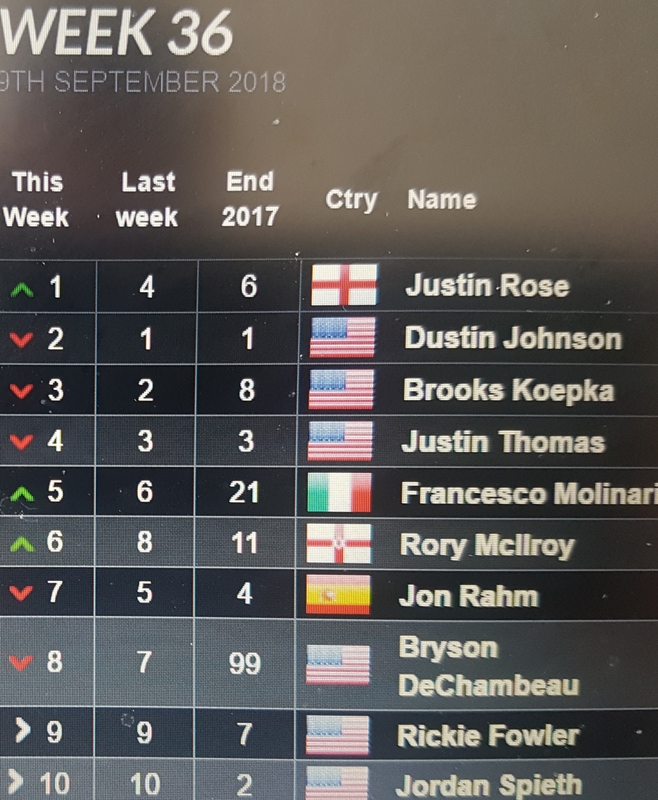 7 months ago by Fatiha Betscher Comments Off on Ryder Cup 2018 To Be A Unique First – All World Top-10 Teeing-Up In Versailles. The Ryder Cup later this month is going to be a unique first when it comes to the World Rankings. For a first time in 32-years, and since the inauguration of the World Rankings in April 1986, the leading top-10 players on the rankings will be teeing-up later this month at Le National. And if you look at the rankings of all 24 players then at this stage, the 2018 Ryder Cup will boast 14 of the top-15, 17 of the top-20 and 20 of the top-25. The world’s top-10 on the rankings (at this time) are competing in the Ryder Cup. The only player outside of the top-25 heading to Versailles will be the present World No. 34, Ian Poulter. Stopping a Europe/USA dominance since Bernhard Langer was the very first World No. 1 in 1986 was the likes of former long-time No. 1 Greg Norman along with Ernie Els, Vijay Singh and more recently the Aussie duo of Adam Scott and Jason Day. Day dropped to 11th on the rankings following last fortnight’s Tour event in Boston and remains at No. 11 post the BMW.